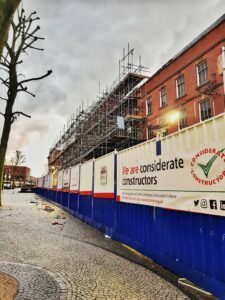 A quick update on a project close to our hearts, being just a stone’s throw away from our office here on Museum Street: the Warrington Time Square regeneration project. 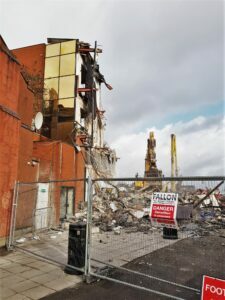 As part of the £107m project to revitalise the town centre, work is underway to construct a complex featuring a new permanent market hall which will provide 50,000 sq ft of lettable retail space, a 13-screen multiplex cinema, 100,000 sq ft of office space which will be used by Warrington Borough Council and a new public square. 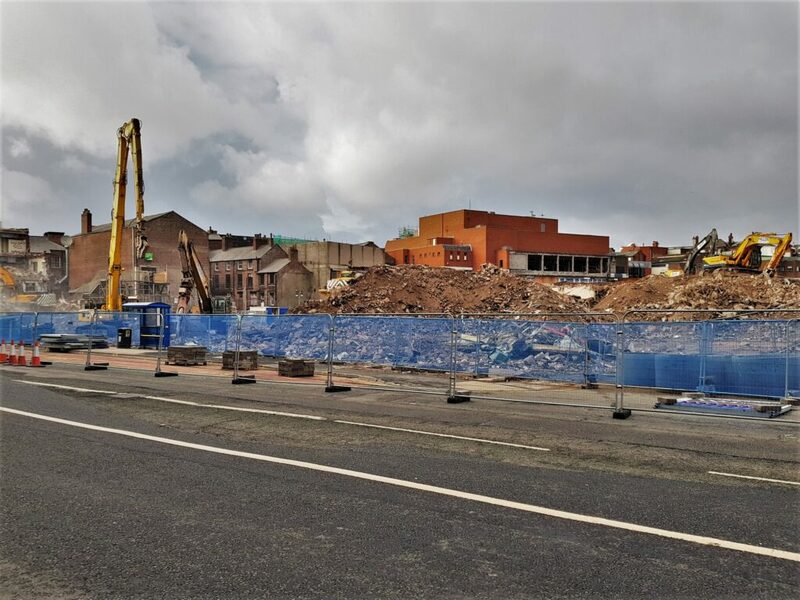 The works to-date, have included the demolition of the original market and surrounding buildings whilst keeping and enhancing the Grade II listed façade of the old Boots building on Bridge street, which will become the main entrance to the new market hall. KOK are performing Principal Designer Advisor services on this project, which is set to be completed in 2019.